Hello, everyone! More online shopping recommendations from me! 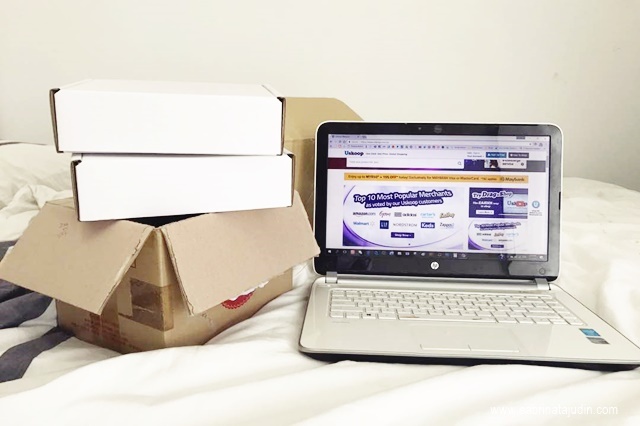 Recently I discovered an online concierge who helps you buy stuff from UK or US merchants easily. I find that USKOOP is a little different from the usual type of buying website. Will show you more down in this post soon. Wanna give more info about USKOOP to get you understand more on what they are. This is the very unique about USKOOP. 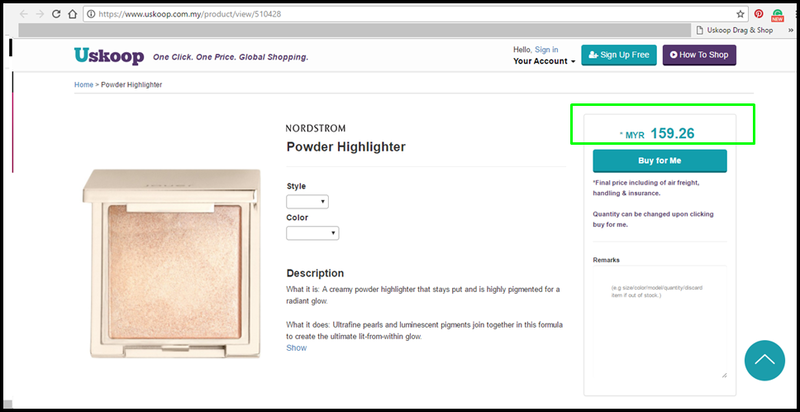 So for option 1, all listed linked merchants such as Amazon, Addidas, Forever21, Nordstroms & much more are integrated with this button. What you do is, drag the button on your right-hand side (see image, highlighted in green) to your bookmarks bar. This button is where you click on the product page you wish to see the price in MYR + Shipping fee to you. Is that easy! So you won't be surprised by shipping fee that you can't get away with after your products have been purchased. If you click the button on the merchant that is not listed, this page will appear. See above. But don't worry, we will get to that part later in option 2. So here is an example. I went into Nordstrom website and browse over to this product. So what I do, upon looking at this page, click on the USKOOP button that you have dragged on your bookmarks bar. 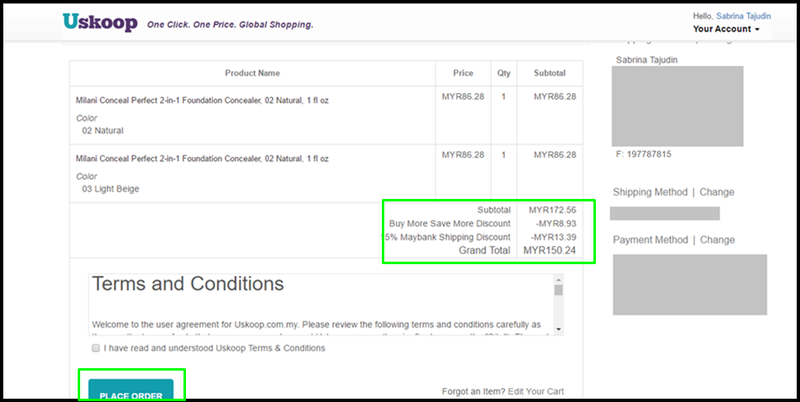 You will then be directed to USKOOP web page and it will load up some information for you to see the price in MYR + Shipping fee to Malaysia. So here is how it looks like. The product is now stated in MYR price (price shown are a total of the product price in MYR & Shipping fee to Malaysia). If you agree, then click Buy for me. It will add to your cart for your preview before proceeding to your payment. 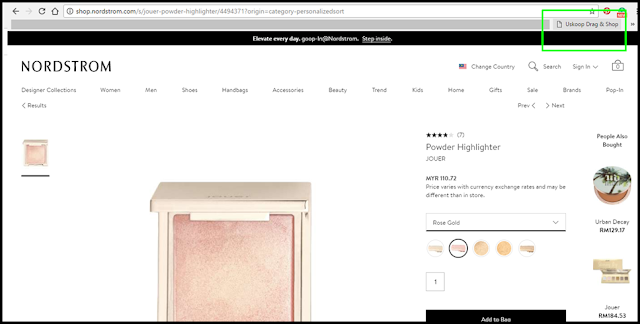 From here, you can also add more products from other merchant and total up in one cart. How easy is that? Shipping fee or buy more can sometimes reduce the total in some situations. Will show more o how I proceed with a purchase using this option later after I explain the option 2 as below. If some of the webste you wish to shop are not listed, dont worry! Use Option 2. Here's how. Go to the page and you will see below screen. So I basically went to Walmart website. 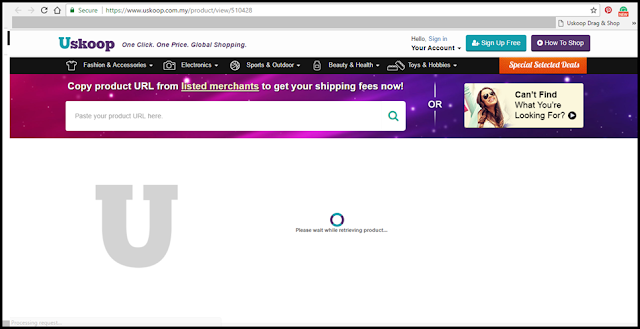 I browse through the product and click on the USKOOP button. After agreeing to the price, I click Buy For Me button and below is my total cart. Here is an overview of the cart. I choose 2 Milani foundation in 2 different shades. You can also get discounts and offers if you have some coupon (psst stay tuned until the end of the post! I have a free RM150 coupon for you :*) After all good, proceed to check out. Here is my total and then I proceed to make my payment. I use my Visa Maybank Debit Card to make my purchase. So in this part did you realize that you can make payment easily, some UK or US merchant does not accept our local cards. So from here, USKOOP help to handle your purchase. The after successfully made my payment, my order confirmation appear. You can go to your account overview and check the status and order no. 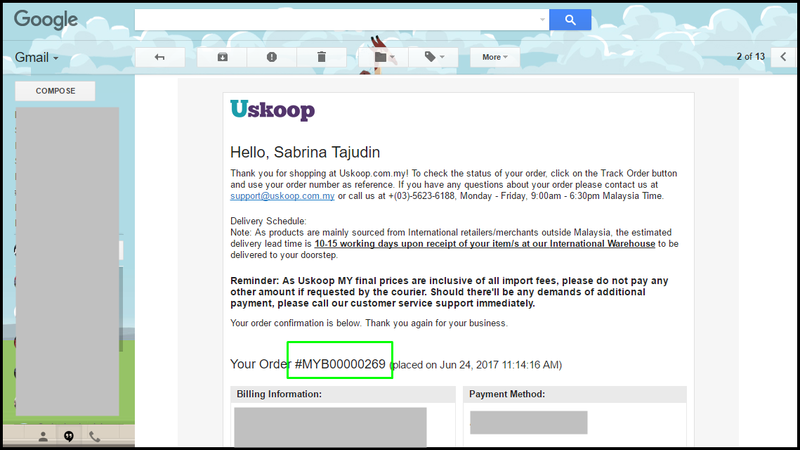 Here is also an email confirmation to my shopping with USKOOP. So now, USKOOP will wait for my parcel to arrive in their warehouse. I can check the status using the Order No like below. Can't wait for my shopping purchase to arrive! 2 winners will be picked and announced by early August. You could walk away with RM150.00 USKOOP Voucher that you can use to buy anything like what I have shown you above at USKOOP!